Interested in art or illustration? Just ask! 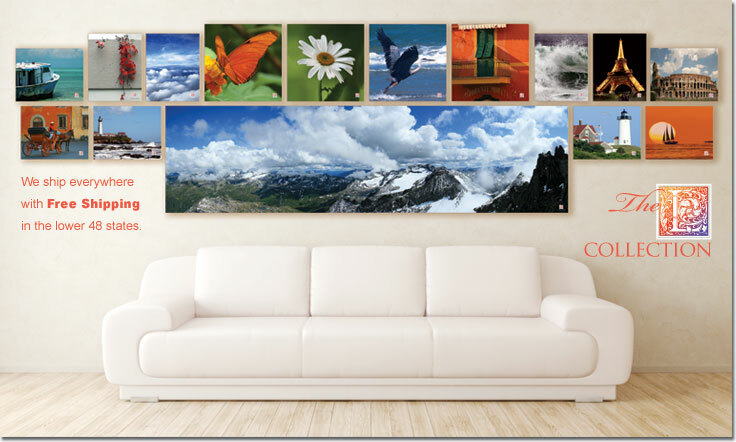 As a supplier of wall decor for the hospitality, healthcare and commercial design industries, we offer beautiful Gallery Wrapped prints at a considerable value. You will experience this value when you use our complimentary design service, resulting in just the right images, at just the right size, to compliment your spaces. And you won’t find these in any store–exclusive selections from the private collection of an award-winning designer. Each is hand-picked from a broad range of photographic subjects – from beautiful sunsets to just plain pretty pictures that stand the test of time. • Gallery Wrapped Giclée (French for “fine spray”) Art Gallery Prints on Canvas: archival to 75 yrs. • Waterproof. UV & Humidity Resistant. • 3/4”, 1-1/2” or 2-1/2” deep frames available. Contact us today for your Wall Decor needs. (Pssst…we’re busy growing the company and you have our promise we will never “sell” your email or other information. To fulfill your request, please fill out the fields below.